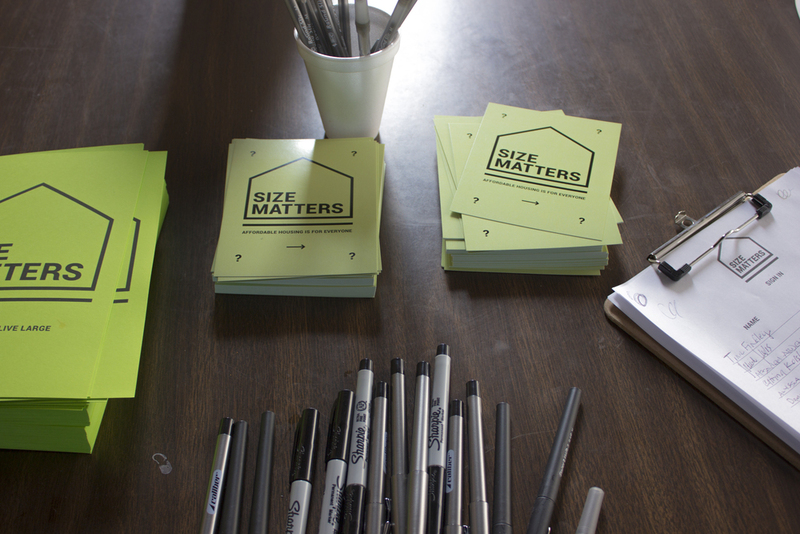 Size Matters was a one day exhibition/event featuring the two main aspects of Start Small: Tiny Living and Affordable Housing. 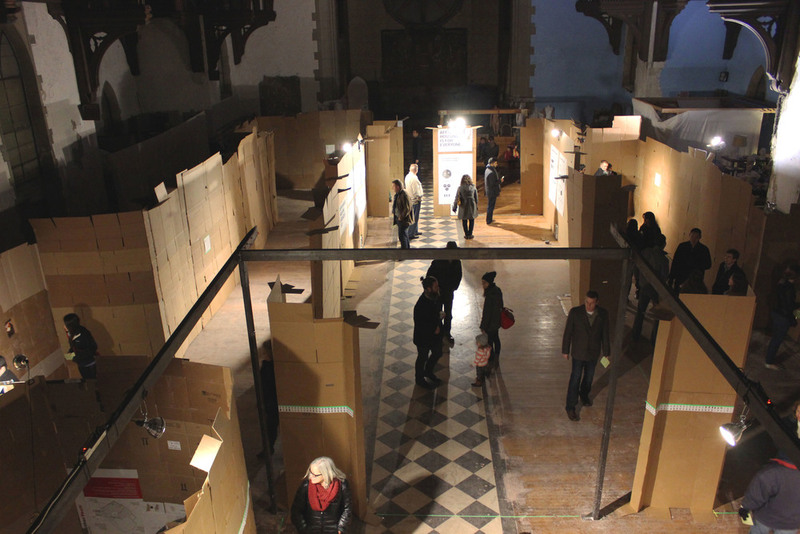 Within the spacious confines of the Assumption Gallery, seven tiny rooms were arranged around a central “courtyard.” The entire cardboard structure was about the size of an average single family home, and each visitor was asked to guess the size of each room. 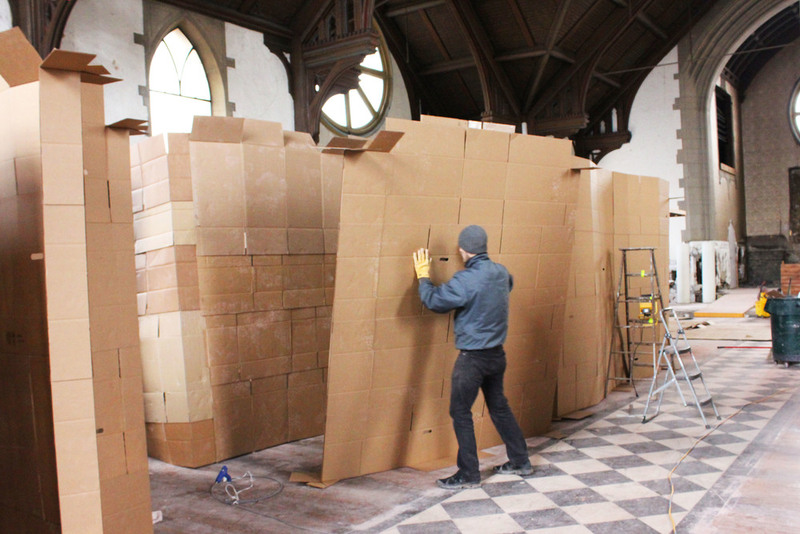 Cardboard was used to remove visitors from everyday experiences and create a canvas for interacting without inhibition. Each room housed a unique installation and a specific idea of tiny, affordable living. In the ‘courtyard’ panels displayed research on affordable housing. What exactly is affordable housing? 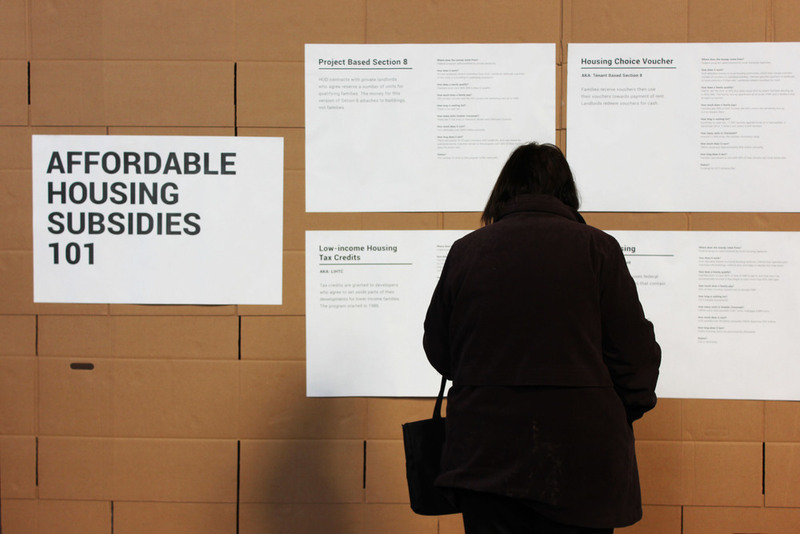 Download the research exhibited at Size Matters: Affordable Housing 101.